Script: Bais Yosef style Ktav. Ktav is very clearly written with ample spacing between words. A Torah reader’s dream. This strong Ktav will endure for years of excellent service. This Sefer Torah was written by the renowned Sofer/Scribe Rav Yisroel Fried of Bnai Brak. Rabbi Fried has written numerous Sifrei Torah for Tiferes Stam. He has an extraordinary beautiful Ktav script. It is a very clear and legible script. A Baal Koreh ‘s dream! This Sefer Torah is ready for completion of the final letters at the Siyum celebration. If you prefer, you can commission a Sefer Torah from Rabbi Fried and have it completed in a year from start to finish. The final 100 letters of the Sefer Torah have been left outlined to allow participation in completing this Scroll at the Siyum Sefer Torah celebration. As can be seen from the copy provided, this script is very clear and legible. Very easy to read. A Baal Koreh Torah Reader’s dream. This is a very suitable Scroll for younger Students and Senior Citizens alike due its size and clarity. 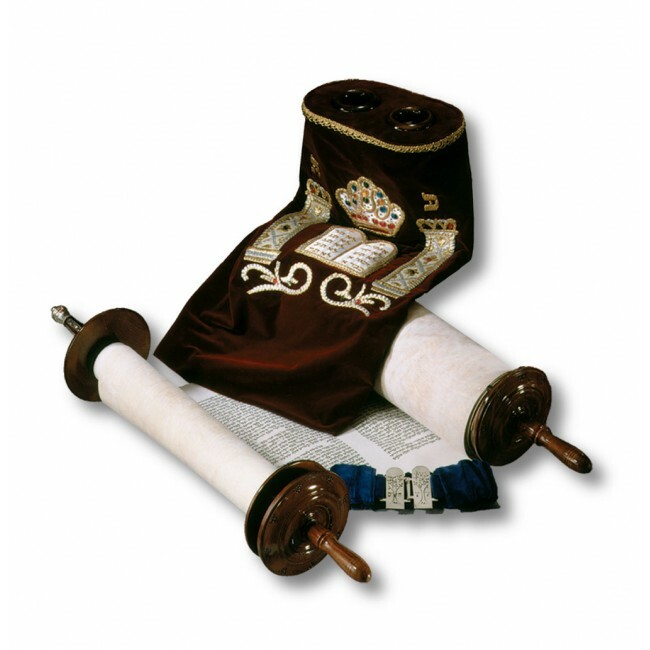 Included in price is the Sefer Torah with all inspections and final inspection by computer to ensure Sefer Torah is 100% Kosher. Complete Sefer Torah available for viewing. Ready for completions of final letters. Custom sized Atzei Chaim Torah Rollers available at additional cost. Custom embroidered Torah Mantel is available at additional cost. Bais Yosef Bold with strong connecting lines and crowns.